Known for films with a strong message to the society, director-producer Prakash Jha is working on yet another socially charged film Satsang. The 10-time national award-winning filmmaker speaks to India & You about his future projects, the need for certification and not censorship, independent cinema, and more. You made your debut as a documentary filmmaker with Shree Vats in 1982. How has the Hindi cinema industry grown in these years? How do you see it today? Yes, I started my journey as a documentary filmmaker and I enjoyed working on them. Making documentaries was a learning process for me after which I moved to making art films until the 1990s. Hindi cinema has definitely evolved over the years. As technology has evolved, storytellers now have more tools and methods than ever, and audiences are increasingly open to stories outside the mainstream. The only formula is good content and a well-told story. This is an excellent time for new filmmakers to experiment with small films. These small films are low on budget and now with the option of multiplexes, they can be easily released and recovered. The distribution landscape is always evolving. There are so many platforms available these days – various international film festivals. There are web platforms like Amazon and Netflix that are aggressively moving into India like they are in other parts of the world. They offer a much-needed platform for these films to reach wider audiences. This was not the scenario few years ago. You came into the limelight with your film Gangaajal and since then, you have been making politically charged films like Apharan, Rajneeti, Aarakshan and Satyagraha. Are you also planning to experiment with other genres? Yes. In fact I am looking at doing newer subjects. Currently I’m working on subjects that are very different. It is an education, a challenge. I am trying to perfect it, and I am learning with every film. Can you tell us about your upcoming film Satsang, and about other future projects? How will Satsang explore religion? My upcoming film Satsang is based on religion. Religion has become an important aspect of social-political life. The film explores a man’s relationship with religion. I am gearing for this film, writing, setting it up. It’ll take a little more time. This is all I can share for now. 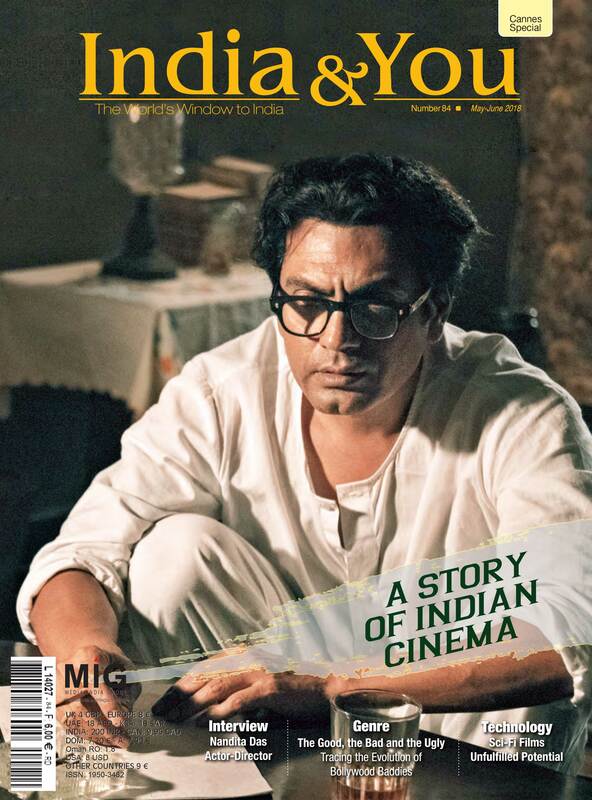 What is independent cinema in India to you? Where do you see it in next 10 years? For me, independent cinema is a film with original voice and content. There are unusual stories from all parts of the country, which are coming to fore, and audiences are opening up to these films. The landscape of independent cinema in India is exciting because it’s continuing to evolve. There is definitely awareness among the audience. People are looking for new content. And, there are makers who are thinking on the same lines. Take the example of a movie like Court (2014). People at least came to know that such a movie existed. In the future, there will be more films like this. These films are made on low budget, so they recover their cost, which encourages others to join in. I see a kind of brightness around it. As someone who deals with sociopolitical issues in movies, what are your views on censorship of this genre of movies in India? Did you expect Lipstick Under my Burkha to create such a controversy? With flaming gender equality issues in India ranging from violence to dowry, we need a gender-sensitive CBFC (Central Board of Film Certification) for sure. There cannot be a government body that is sitting and trying to clamp down voices and stories of women. It cannot be allowed. It is wrong. Censorship needs to be replaced by just certification. Do you agree that life in India for filmmakers is not easy in terms of freedom of expression and art? Does censorship place boundaries? It is difficult to make a socio-political film in India without offending anyone. You can’t name a party, an ideology, you can’t do anything. Somehow I negotiate and make films, despite that there are fights. We try to say what we want but we have to also keep in mind the limitations of the society. Even though it would be difficult to make films in today’s time, one has to remain undeterred by certain hiccups and focus on their work. I think the concept of censorship is not in tandem with the concept of democracy and the freedom of expression. A country that lets adults vote and elect their leaders must let its adult citizens choose the films they want to watch. Particularly in 2018, with the digital age, the concept of censorship makes no sense. It definitely places boundaries. Like I said, censorship needs to be replaced by just certification. The Indian film industry has grown in terms of technology and reach but Hollywood has varied topics and their movies are also technologically richer. Do you agree? Where do you think India is lacking? I believe now the Indian cinema is also making bigger films. In fact, now Indian filmmakers are also using technology to mount bigger films. Representation of women in story telling, writing, directing or cinematography is low. Do you see this changing? Representation of women in every aspect of filmmaking like story telling, writing, directing and cinematography is abysmally low. Males dominate every aspect of filmmaking, from stories, camera to direction. Given the opportunity, girls will excel at every stage of filmmaking but they are not given the opportunity. The need of the hour is to provide opportunities to women. The producers, market and the audience does not trust women filmmakers, but this attitude has to change. According to you, do international film festivals like Cannes add something meaningful/help Indian Cinema in any way? I think it is a wonderful platform for all Indian filmmakers and cinema lovers. It gives a wonderful exposure. Cannes is considered to be one of the most prestigious film festivals of the world. It definitely adds to the glory of Indian cinema.